Social Return on Investment (SROI) aims to increase social equality, environmental sustainability and well-being. Its mission is to change the way the world accounts for value that e﻿nables better decision-making. SROI is distinct from other approaches in that it places a monetary value on outcomes, so that they can be added up and compared with the investments made. This results in a ratio of total benefits (a sum of all the outcomes) to total investments. While the ratio is important, SROI is about much more than this. Click here to read the ﻿Seven Principles of Social Value (formerly known as Seven Principles of SROI)﻿. 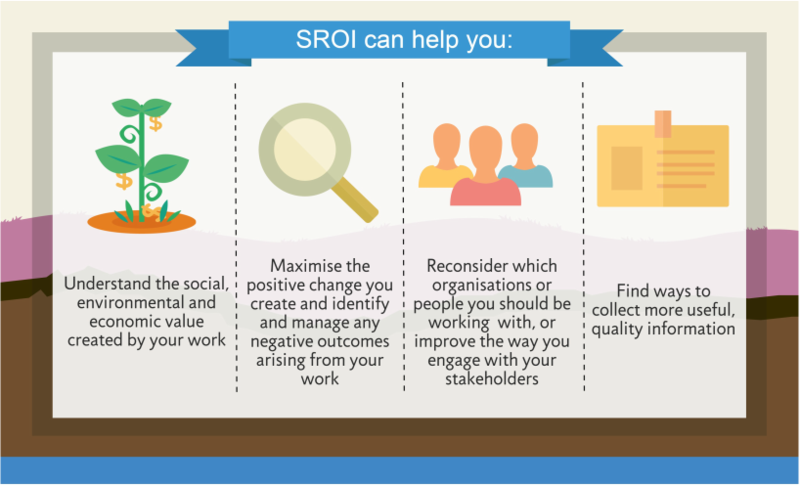 If you just want an initial introduction to SROI, we recommend you to download the 'Starting Out on SROI' Guide, to be used with the Self Assessment Tool.